I am beyond happy and relieved to share that Brynn Josephine arrived safely in our arms via cesarean section on November 29th at 8:16am. She was 6lbs 9oz and 19 inches. Brynn is now 12 days old, and I can’t believe how fast the time is passing already. She’s brought us so much joy and love in such a short period of time. Even though Brynn is here and has a beautiful place in our lives, she doesn’t replace Elliot. Ben and I have found the holidays are still difficult. I think they always will be. We have so much to be thankful for this year, but none of it takes away our sadness for Elliot’s absence. Being caught between two worlds, two very real emotions – happiness and sadness – is even more apparent these days. Leaving the hospital with Brynn in our arms and bringing her home was indescribable. It was surreal. I can’t tell you how many times I questioned if that day would actually come, even as we entered our final stretch of the pregnancy. And then it did. I wish I could explain what it felt like. It was very emotional. Almost two years earlier we left the same maternity ward with broken hearts and a memory box in our arms. This time, we left with an overwhelming sense of gratitude and full hearts. We left with our baby. With the memories from Elliot’s birth and our return home without her physically still fresh in my mind and heart, I stood in our kitchen with Brynn in my arms that first afternoon home, looking outside and searching for signs of Elliot’s presence. I cried for what should have been with Elliot. I cried because my prayers were answered with Brynn. I cried for both girls. I cried because I love them both so much. I cried because I wish they could have a life in this physical world together. I cried because I know how incredibly lucky we are to have them both. I know Elliot was there with us that afternoon, surrounding Ben, Brynn, and me with her love as she’s done all along. I know she will always be here with us. I want to write more about the days and hours leading up to Brynn’s birth and the moments following it, but that is for another day. For now, this is the beautiful moment when Ben and I met Brynn for the first time. 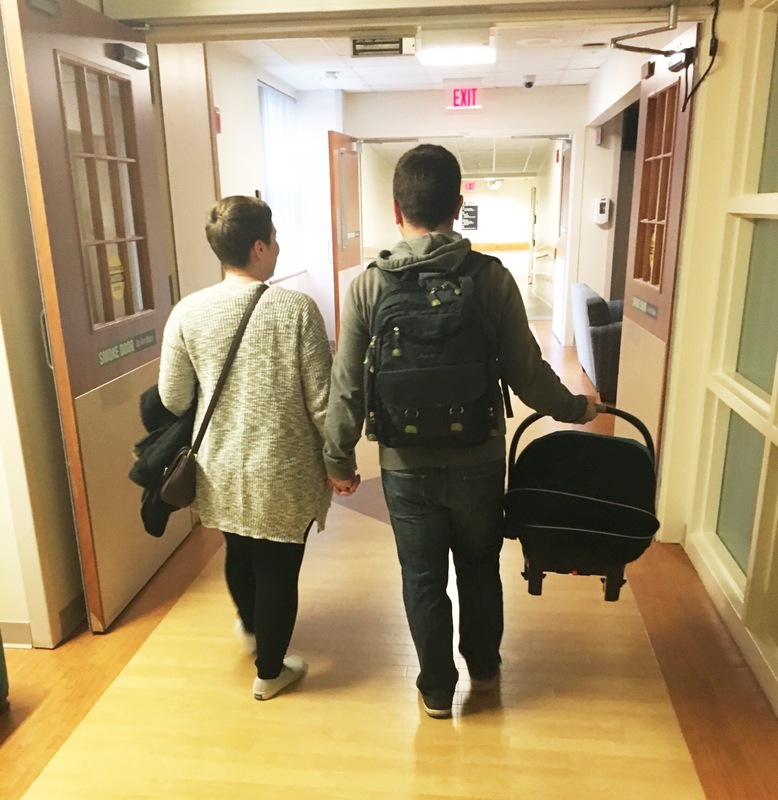 I found your blog after my son was born sleeping this August at 38 weeks, and devoured it as it finally felt like someone was able to put into words the things I was feeling. I’ve been checking back frequently in hopes of hearing great news, and here it is! 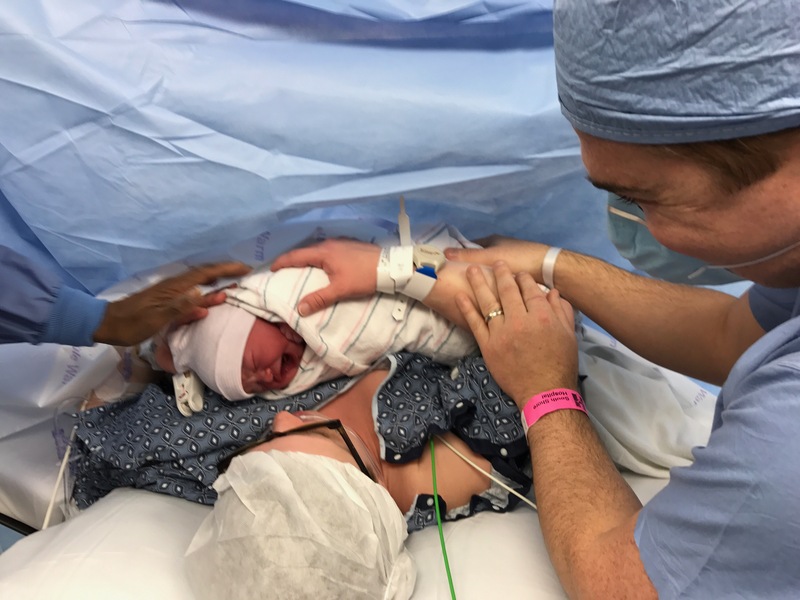 Congratulations, and welcome little Brynn! Elliot must be so proud of her little sister, and of her mom & dad and their journey. I am so sorry for the loss of your precious son. My heart breaks for you and your family. No parent should ever have to go through something like this.